Ships today if you order in the next 6 hours 17 minutes. Dealing with rough and cracked skin can be difficult sometimes. Resulting from over work or certain weather conditions, it can be difficult to find relief. 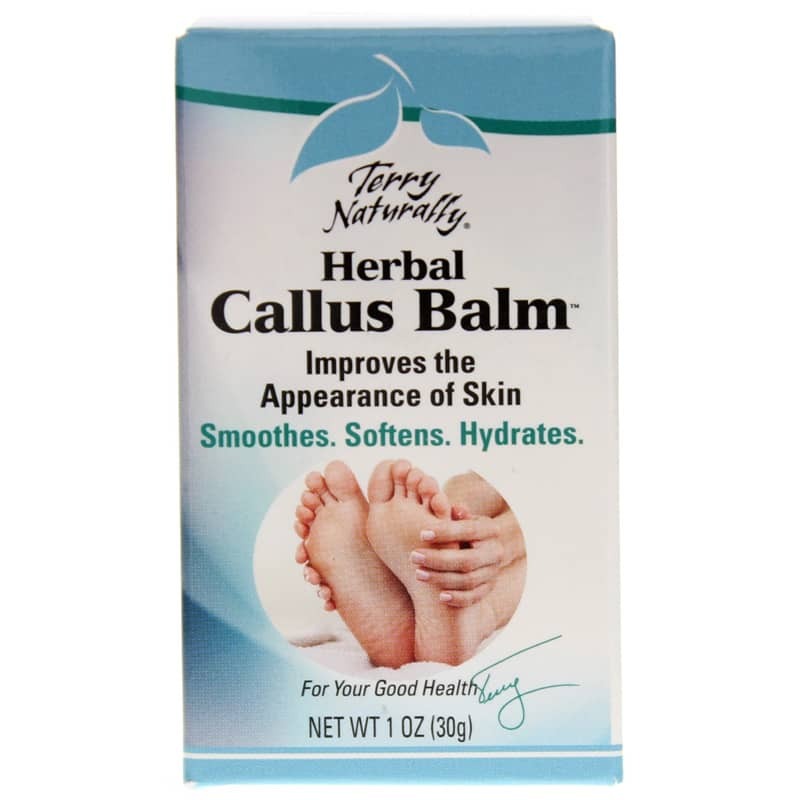 Terry Naturally offers a product called Herbal Callus Balm™, a paraben-free topical balm that helps soothe, soften, and hydrate even the roughest cracked skin. Terry Naturally's Herbal Callus Balm is made without parabens and can be applied as often as needed to dry, cracked, and callused skin. Softer, beautiful-looking skin has never been easier! 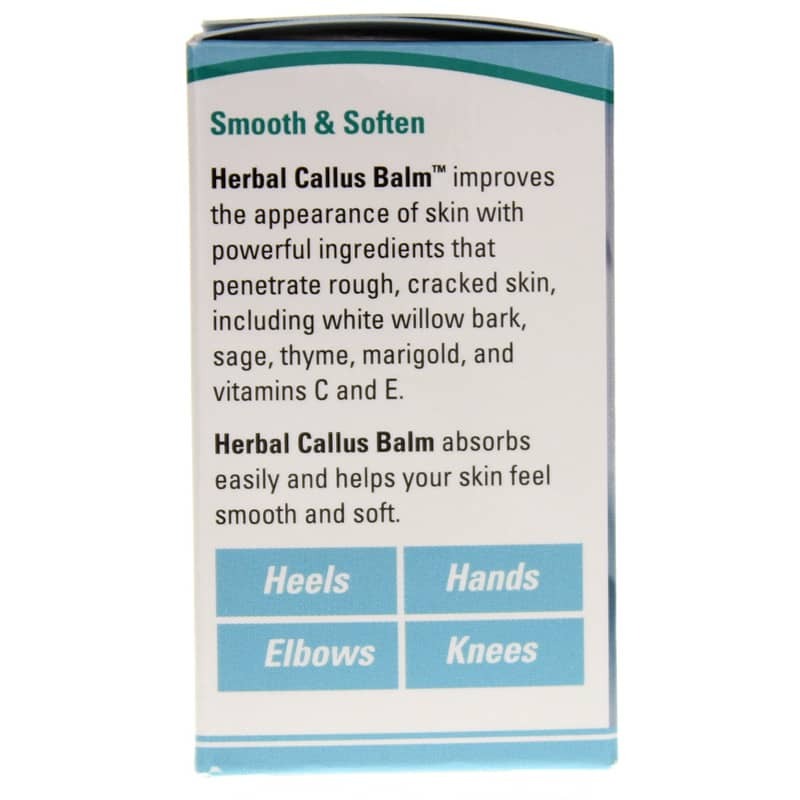 Give herbal Callus Balm a try today, and see the difference it may be able to make in your skin appearance. Order now! 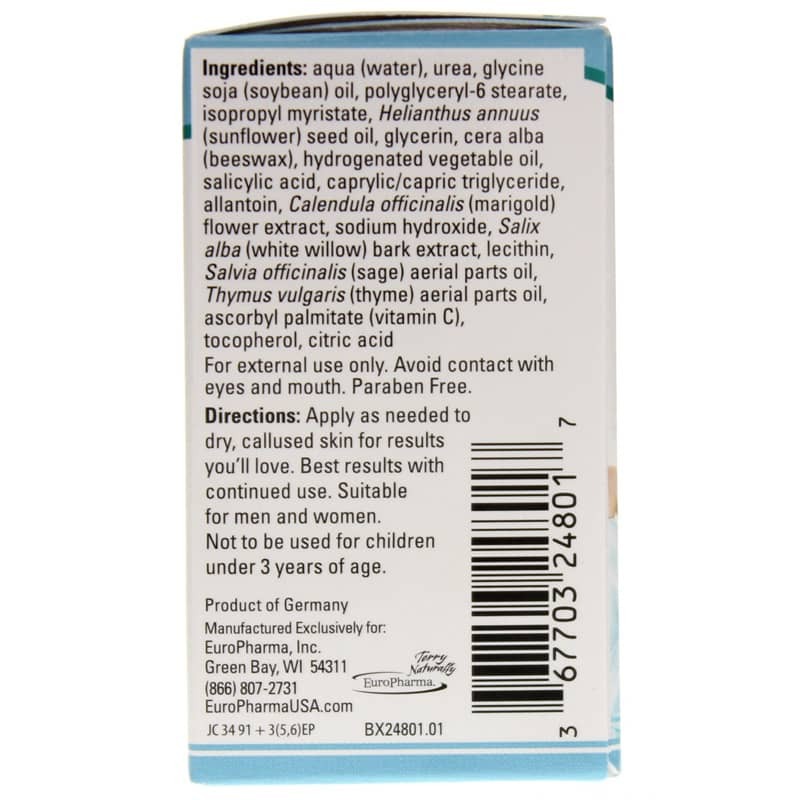 Aqua (Water), Urea, Glycine Soja (Soybean) Oil, Polyglyceryl-6 Stearate, Isopropyl Myristate, Helianthus Annuus (Sunflower) Seed Oil, Glycerin, Cera Alba (Beeswax), Hydrogenated Vegetable Oil, Salicylic Acid, Caprylic/Capric Triglyceride, Allantoin, Calendula Officinalis (Marigold) Flower Extract, Sodium Hydroxide, Salix Alba (White Willow) Bark Extract, Lecithin, Salvia Officinalis (Sage) Aerial Parts Oil, Thymus Vulgaris (Thyme) Aerial Parts Oil, Ascorbyl Palmitate (Vitamin C), Tocopherol, Citric Acid. Apply as needed to dry, callused skin. Best results with continued use. Suitable for men and women. For external use only. Avoid contact with eyes and mouth. If you are pregnant or nursing, please consult your healthcare professional before using this product. Keep out of the reach of children.